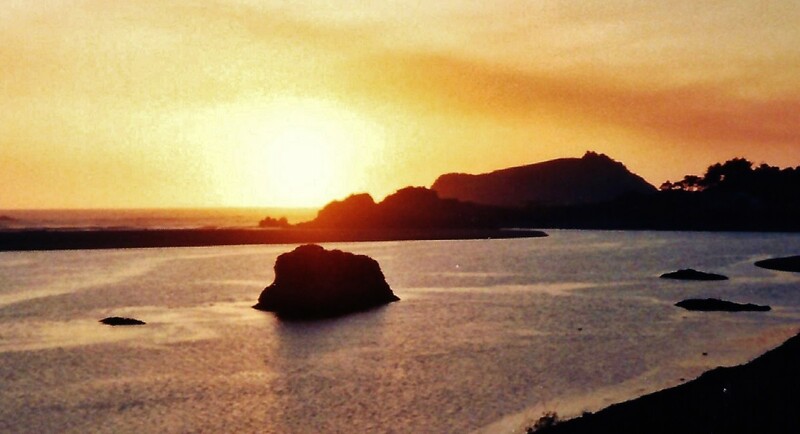 California is a state full of natural wonders including many state & national parks. 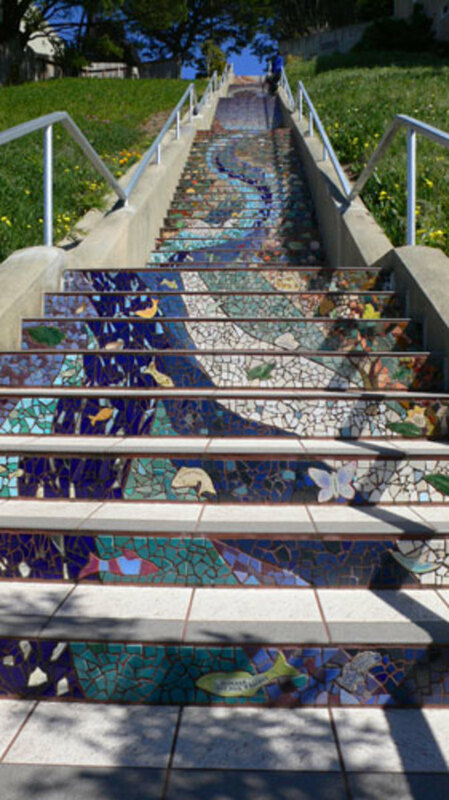 See sites in San Francisco & many other areas visited. Were it not for the fact that my rental car gas tank was starting to get a bit low, my traveling companion and I might never have discovered Hume Lake which is located in Sequoia National Park. Inside of Sequoia and Kings Canyon National Parks which adjoin one another, there are not that many places to refuel one's vehicle. Of course one can drive out of the parks to surrounding communities but this takes time away from sightseeing and enjoying the activities within the parks. Thus it was with delight that we not only found a source of gasoline at Hume Lake, but it was fun getting to see this dammed up lake and discover its many uses. Harvesting of lumber was being done by big commercial concerns back in the late 1800s and after cutting down the massive sequoia trees in this area of the Sierra Nevada Mountains the logging operators had to have an economical way to move the trees to market. Since wood floats, getting the tree trunks to a source of water is one means of moving massive loads of lumber. The logs can be guided with the help of water currents to be moved from a harvested site to one in which they can be retrieved and processed into usable lumber boards or even ground up as pulp to be made into other products like paper. My mother, niece and I saw that type of operation on a trip we had taken some years ago when we boarded and rode on a ship from Vancouver to Squamish, Canada returning on a Royal Hudson Steam Train ride back to Vancouver. In this particular case a flume was built by the Kings River Lumber Company and by 1890 was in full operation moving the cut timber down the mountainside to Sanger, California to be retrieved and utilized. For those who may not know a lumber flume is a trough-like structure generally built up and elevated above ground. Water flows through the trough and with the aid of gravity moves the floating lumber along. The one built and located amidst these magnificent trees comprising what is now known as Sequoia and Kings Canyon National Parks was the longest lumber flume in all of the United States! Moving the lumber any other way down the mountainside would have been a much harder job to accomplish. Sadly all of the centuries old sequoias that used to live in this part of the park and that were cut down did not even make good usable wood. Such massive trees when they came crashing to the ground often shattered. While not the tallest trees in existence, the girth and massive bulk of the giant sequoias make them the overall largest of the trees. Can you even imagine the sound that one of them must make when impacting the ground and how the ground must shake? According to information from the Sanger Depot Museum and History of the Flume, the Depression of 1892 in addition to other problems might have actually played a part in saving more of these sequoias from total destruction since the lumber company ultimately went bankrupt. Lumber Flume from the Sequoia National Park to Sanger, California. This eighty-seven acre lake had an entirely different purpose when it was first dammed up in 1908 from Tenmile Creek which flowed in that area of magnificent and thick sequoia forests. 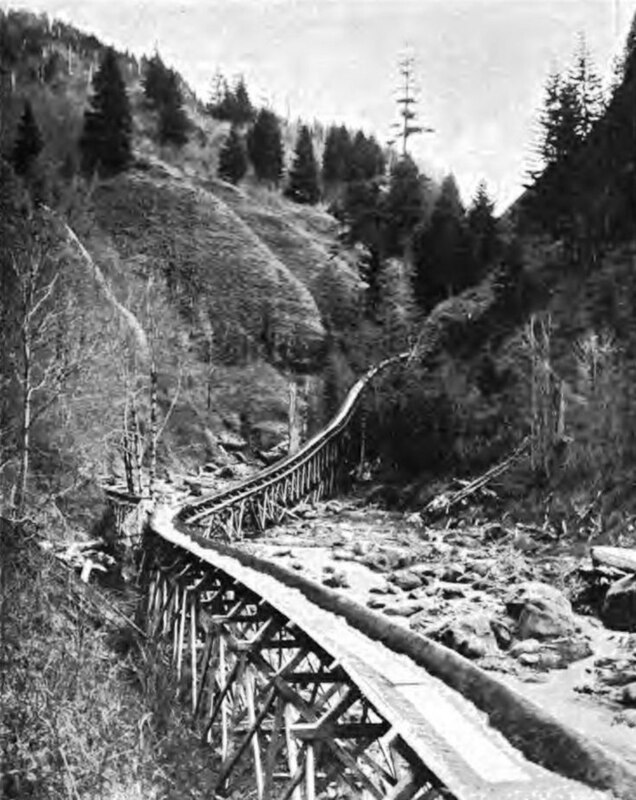 It became a place to store the cut down sequoia and other harvested trees until they could be transported via lumber flume (utilizing the lake water) to facilitate that passage. Fortunately now Hume Lake offers a great recreational site located in the Sequoia National Forest operated by the U.S. Forest Service. It has many different campsites which can accommodate tents, trailers and RVs. For reservations and to find out more park information you can access this number: 559-335-2232. When camping be aware that black bears also call this territory home and one must be careful about food storage so as not to attract them. For people who like to fish, they might be lucky and catch rainbow, brown and small mouth trout as well as green sunfish. Hikers and mountain bikers will find much to their satisfaction in enjoyment of this spectacular scenery. There is a trail that surrounds the entire lake. Swimming and non-motorized boating is allowed on Hume Lake. It is nice to be able to enjoy the beauty of this blue water surrounded by forested areas and mountains without the droning sounds of boat engines spoiling the mood of the setting. This was the site at Hume Lake in which we were able to refuel my car. Since the mid-1940s kid's camps as well as couple's, women's and men's retreats have been held at this non-profit several hundred acre privately owned location. 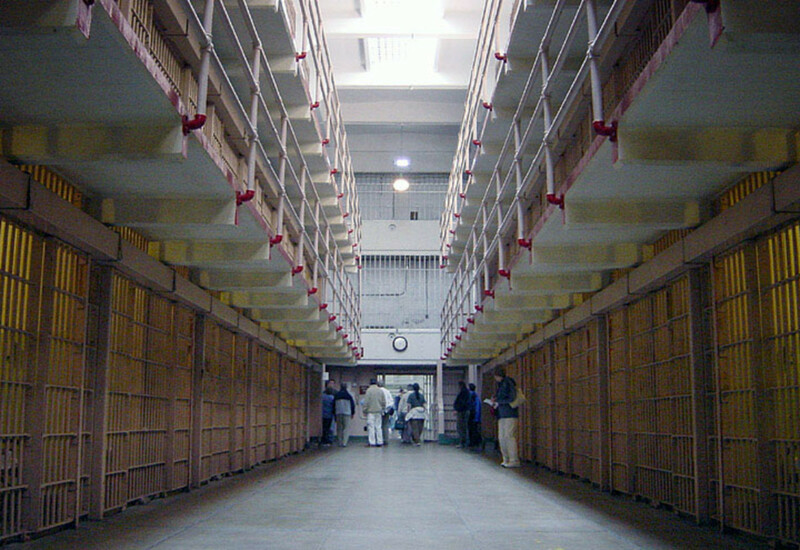 This large scale facility is operated on a year round basis. Naturally the emphasis is on leading a good life via the Christian faith and attendees are asked to dress moderately and act according but that is not to say that they cannot have fun. Judging from all the YouTube videos posted, the kids attending the camps have plenty of fun! From paddle-boating and canoeing and swimming in the summer to ice skating in the winter, this just skims the surface of what there is to be found at this Christian camp. Rock climbing to paint-balling and from zip-lining to every type of game imaginable, kids will find themselves with no lack of things to keep themselves occupied in this gorgeous and safe setting. In reading about this camp, apparently if all of the cabins or the hotel rooms are not filled, tourists can rent rooms even if not being a participant of a certain program. In addition to their service station on the grounds, one can also access a post office and even a market to pick up some needed supplies. Hope you enjoyed the pictures of our delightful discovery that of finding Hume Lake in Sequoia National Park. It is a great destination within the park to have some fun and enjoy some recreational activities! Would you enjoy visiting Hume Lake in Sequoia National Park? I have already enjoyed being at this pretty lake. I'd rather spend more time seeing the giant sequoias. Happy to be able to introduce you to Hume Lake in Sequoia National Park. There are so many pretty places within this park! Visiting there will always be a happy memory for me especially since I was with a dear friend who was experiencing it also for the first time. I hadn't heard of Hume Lake, what a beautiful place that must be to visit. Many times I have kind of wished I could visit Sequoia National Park, but I get over it. It is wonderful to learn more about the USA with you as my tour guide, Peg. So nice to hear from someone who actually attended one of those camps at Hume Lake in Sequoia National Park. Will look forward to reading your article. It is surely a beautiful place in nature! Your hub came up as I just posted mine on Hume Lake several moments ago. I was one of those youth attending the Christian camps (pre-youtube), but it was still incredibly fun. Your descriptions of both the camp and the Lake and Sequoia National Park as well made me yearn to be back in California - mountains, forest, tall tall trees....but more specifically back at Hume Lake. Thank you for a lovely piece of writing on a lovely place in nature. Voted up, beautiful and rated 5 stars. The sequoia trees are huge no doubt. Lovely place and fun things to do on a picnic. I enjoyed reading the history behind the lake development. voted up, beautiful, shared and voted 5 stars. 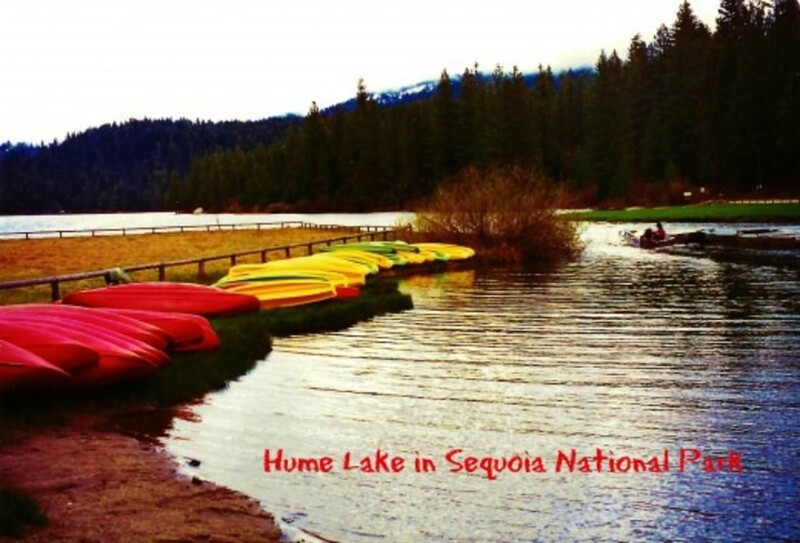 Very happy to hear that you enjoyed this hub about the pretty Hume Lake in Sequoia National Park. It must be so much fun to camp there! Thanks for your visit, comment and the sharing to FB. Another gem for me to share. Sequoia National Park is so beautiful. Nice to know that you have also gotten to enjoy it. Thanks for your comment. I have traveled in these areas and love the redwoods. Your hub is outstanding and the pictures are beautiful. Rated way up! 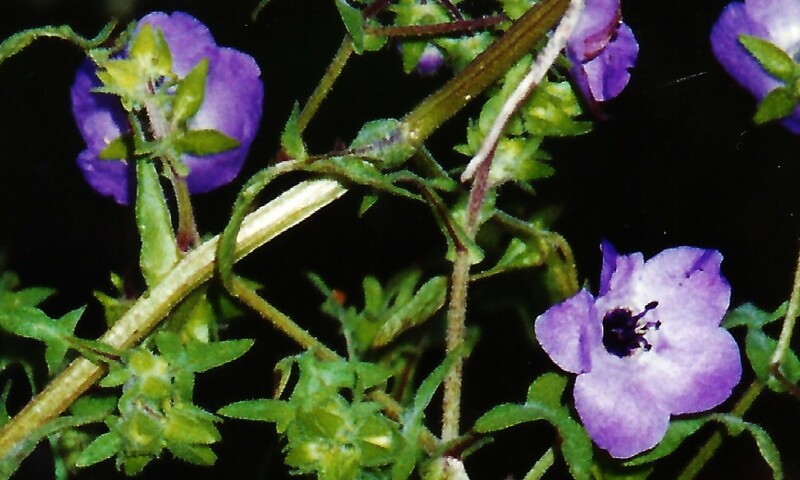 Hello Tracy Robinson and welcome to Hubpages. Glad that you found this hub regarding Hume Lake in Sequoia National Park to be of interest. Thanks for your comment and votes. Heading on over to see what you write. As a new hubber, I find myself looking for something to aspire to. And, here it is. Wonderful graphics, Very informative, and definately interesting. Hope I can be as successful as you one day. Great Hub. "Voted it Beautiful." Voted Up! Thanks for commenting so favorably on this portion of Sequoia National Park...that of the Hume Lake area. As always a great hub which is again written in your own unique style. Combined with beautiful pictures they are indeed gems. Those colorful canoes lined up along Hume Lake in Sequoia National Park did make for a great photo. Thanks for the compliment and your comment. My goodness, you have outdone yourself with that first photograph. How beautiful it is! All of your photography is lovely. I had not heard of this place. Thanks for the journey. Nice being nominated but I don't go on Facebook often enough to interact with many people...so will obviously never win contests like this. If you ever do get to visit Sequoia National Park in person, make sure and set enough time aside to visit the Hume Lake area whether you need gas for your car or not. Very pretty area! Thanks for your comment. Congrats Peggy on getting selected for your beautiful hub. We are having similar temperatures down here in Houston. Hume Lake and those massive sequoias would look ever so appealing right now! At those elevations, the temperatures would be cooler for sure. Thanks for your comment and your vote. Appreciate it. To think that those sequoia trees have been living on earth prior to most of the world's major religions being founded is really something! Does give one a peek into a small fraction of eternity. Hope you get to see Hume Lake in Sequoia National Park next year per your wish of vacation plans. 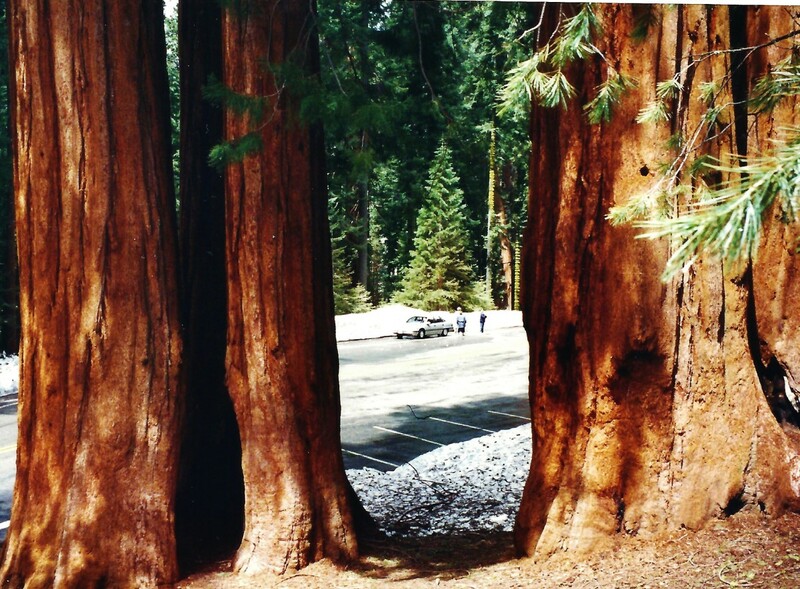 Nice to know that you have seen the majesty of Sequoia National Park in person. I'd love to go back there and do more exploring when there would not be so much snow on the ground. Maybe someday... :)) Thanks for your comment. Oh, Peggy - I want to go there! That spliced together picture is AWESOME. It's going to be 100 degrees here today and I just want to go jump in that lake. Then check out the fabulous trees. Voted up and voting for you in the contest! I love the symbols of eternity. You have presented a very interesting and beautiful hub on Hume Lake. 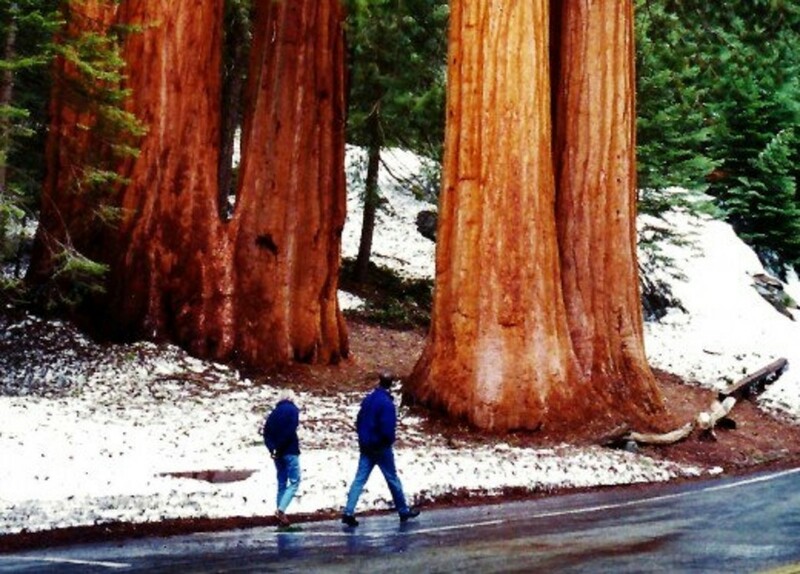 Sequoia National Park will be one of my vacation spots in 2012. Wonderful and beautiful hub. Thanks, Peggy for the virtual trip this afternoon - I haven't been there in years and remember its majesty! Great hub and great write! Nicely said and so true! Thanks for taking the time to leave a comment regarding Hume Lake. Looks like a great place to purposely vacation and do some camping. You made the comment about needing gas for the car. Isn't if funny how God slows us down sometime to give us blessings. The picture of the tall trees is amazing. Nice to hear that you enjoyed this hub regarding Hume Lake. It is a beautiful spot! Thanks for commenting. Again you showed a beutiful piece of your country. It must be such experience to see it in real. Thank you so much. Enjoy your park trips be they local city, county or even national parks. They all have something of value and are good for refreshing the soul. Glad you enjoyed this hub about Hume Lake in Sequoia National Park. Perhaps you will write hubs about the ones you visit? Thanks! Beautiful, we go to local parks and they are beautiful but there are many near the east coast we need to see and we plan to soon. Great hub! So glad that you enjoyed this hub and that it brought back good memories of your own visits to Sequoia National Park (with the exception of Hume Lake). The sequoias and redwoods are also two of my favorite things! Such majesty! Such grandeur! Thanks for your comment and vote. Terrific hub! Love love love your photos and the videos! When we were in Sequoia National Park in 2009, we did not know about Hume Lake. Another reason to go back! The Sequoias and the Redwoods are two of my favorite things on earth. Voted beautiful. Glad that they have now added an interesting button to push. Appropriate for so many hubs that I read. Glad you enjoyed this part of Sequoia National Park and Hume Lake. What a fabulous place for a kid's camp! Thanks for your comment and votes. Like you I was also surrounded by the beauty of nature as a child and have also loved it. By far my favorite type of vacation is seeing nature in all its glory. We have so many wonderful national parks over here. My dream would be to see all of them someday. I may or may not make it...but it is a quest worth undertaking. Also like you, I enjoy the small things. Flowers in our garden...the fragrance of herbs...all of that and more bring peace and serenity to one's soul. Thanks for your comment. Breathtaking photos and such an interesting place to enjoy the basics we have been given. 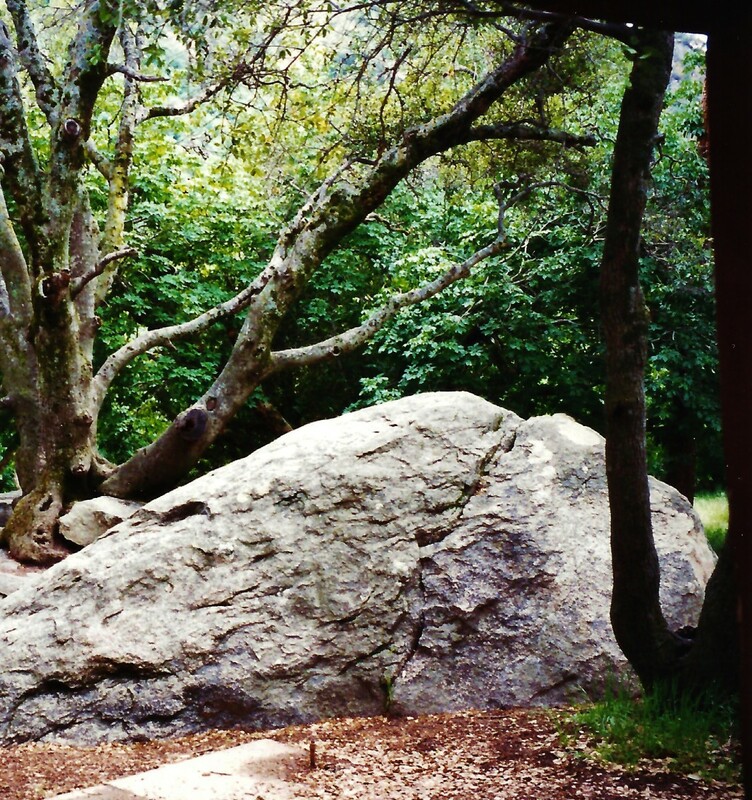 What a statuesque tree that just projects such a strong foundation. Fabulous hub making the all up votes (including interesting now) a must Thanks for sharing and I can't help but wish I was closer to embrace it in person. Thank you for sharing another gem because your hubs are beautiful. I have from a young child loved nature and we are surrounded by so much beauty that we tend to overlook !! I vote this one all the way up and here's to sharing many more hubs with you. Always happy to be able to share pretty pictures of such places as Sequoia National Park but also nice when information new to readers can be shared. Thanks for your comment. So glad to be able to share some pictures of Hume Lake and a portion of the beautiful Sequoia National Park with you. Thanks for your comment. Yes, the photos are beauitiful ~ and very educational too! Hi, sure am glad that your gas tank was low or we would have been deprived of much beauty so beautifully captured for us with your skilful know how. I have enjoyed another part of your country with you, for that I will always be grateful. Best wishes to you. Again, I have admit to you that you are "the master". Thanks for always update and renew your hub, especially about beautiful places. One thing that I love from your hub. You always complete this with very well review, stunning pictures and video also. "Sequoia National Park" is one of the best park. I'll press all buttons here. God bless you. Glad you enjoyed this hub regarding Hume Lake in Sequoia National Park. Thanks for taking the time to leave a comment. 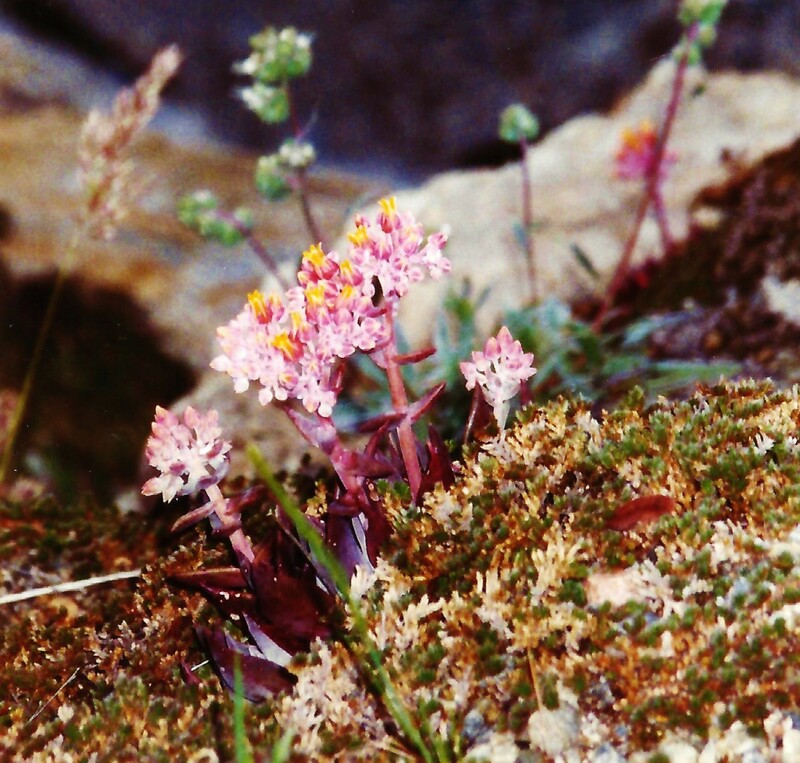 Very beautiful pictures, and informative write up about Lake Sequoia National park. I hope that you get to see those magnificent Seguoia trees in the National Park for yourself someday also. Hume Lake is just one portion of it that certainly entertains people. Thanks for your comment. Stay tuned to see more of Sequoia National Park. Hume Lake was (as stated above) a serendipitous discovery of which we were glad. Trying to tie more of my hubs together. Glad you noticed. Thanks! I would love to visit Sequoia National Park. It sounds like an amazing place. Thank you very much for the great information and photos. Hopefully one day I will be able to see Hume Lake and the sequoia trees myself! 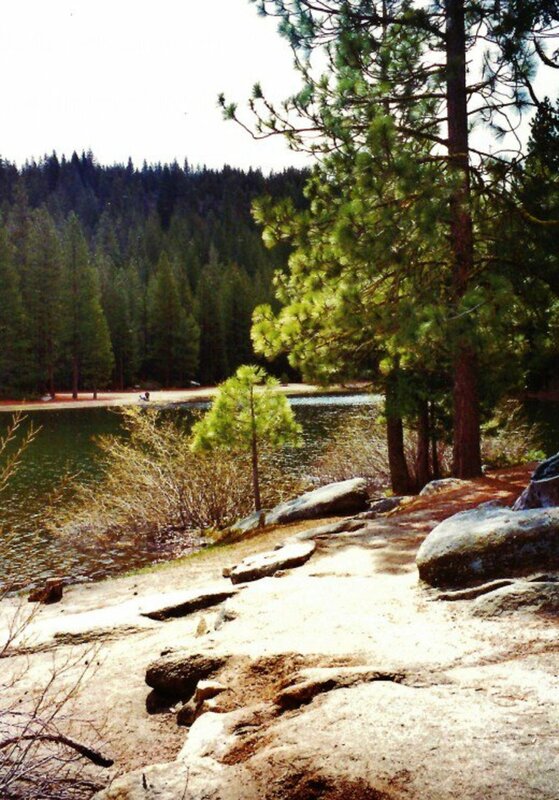 Wish I had gotten to go to Hume Lake and attend a camp there as a kid also. That blob (in the video) surely looks like fun among many other things. Sure beats my girl scout camping experience when I immediately came down with a whopping case of poison ivy. Ha! Thanks for your comment. Wow! 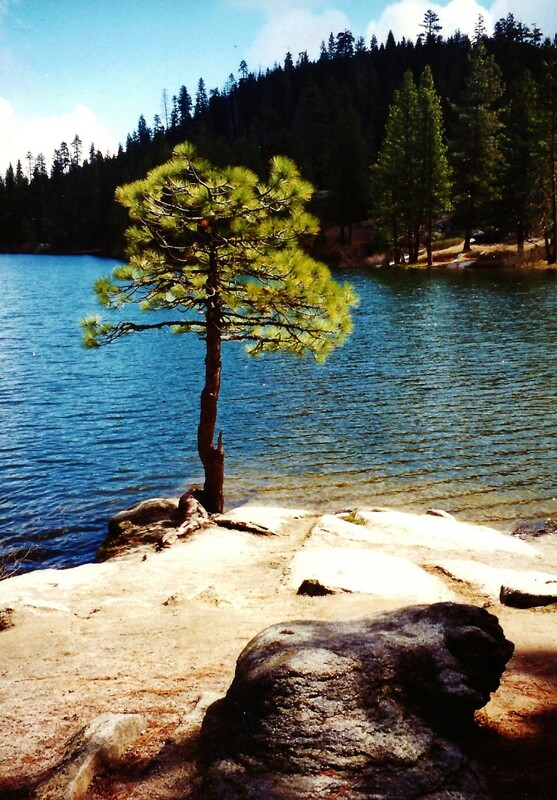 How lucky you were to experience Hume Lake as a kid! Such a gorgeous part of Sequoia National Park. As to showcasing Sequoia National Park...there is more to come! Thanks for your informed comment as to the beauty of that area. Great presentation of the beautiful Sequoia trees and Hume Lake - dovetails very nicely with your other national park hubs Peggy. What a beautiful place! I wish I could say that I've been there as a kid, too! Gosh. I really loved reading about this place and looking at the gorgeous photos. Siiigh... I've got a lot of camping to do! I remember going to Hume Lake as a kid. Your pictures are absolutely amazing, Peggy. The first photo with the canoes has amazing color! Thank you for sharing them and all fo the details about Hume Lake and Sequoia! Serendipitous was the right word to describing our finding of Hume Lake in Sequoia National Park. Glad you liked it. Lakes certainly are an attractive feature in any environment and while Minnesota is tagged with having 10,000 lakes (the license plates used to have that and perhaps still do? ), Wisconsin where you now live certainly has its fare share of them also. Thanks for your comment. 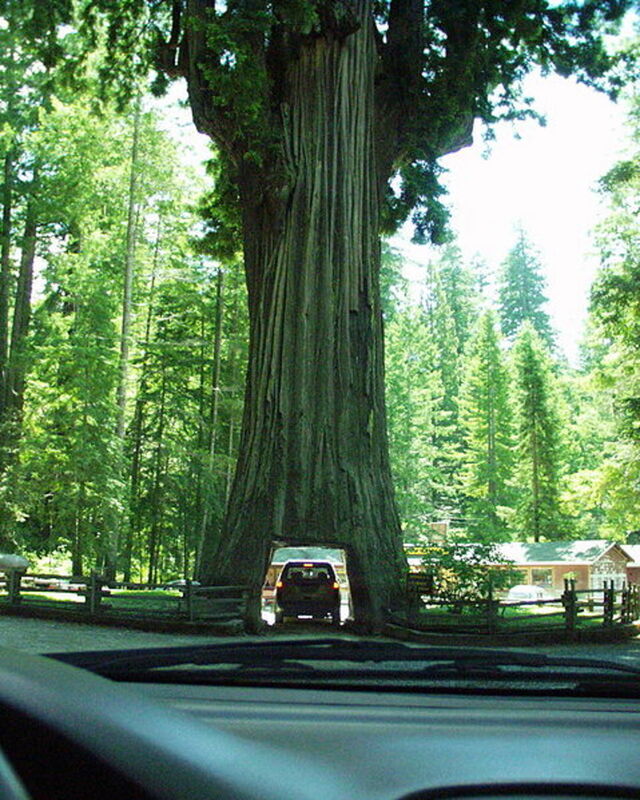 When visiting Sequoia National Park every twist and turn of the road exposes more beauty. Hume Lake would have gone undiscovered by us had we not needed more petrol. Thanks for your comment. Serendipity. A term for finding something you are not actually looking for.Coming from Minnesota lakes are the best part of any environment. You were, indeed, lucky to find this beautiful spot! Amazing. I feel that I have been there. I really enjoy all of the information that you are providing. Thanks. Thanks for sharing this national treasure with those of us who live in the east. Your photos were beautiful and I enjoyed reading about the history of Hume Lake and the logging. Have never seen the magnificent Sequoia trees in person but hope to one day. We have beautiful trees in the east, but none that grow that tall and majestic. The video of Meadow Ranch Pond was cool and those kids did look like they were having a blast bouncing off the blob! Voted up, useful, awesome and beautiful.